The Home Insulators has been servicing Westchester County homes for the past several decades. 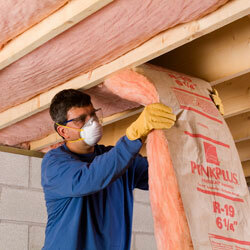 We provide home insulation solutions and we’re proud to be coming even closer to you in Mt. Kisco. We are backed by a professional team of energy auditors and installation experts who help us deliver quality services. Our goal is to ensure you live comfortable lives and that your energy costs are as low as possible. 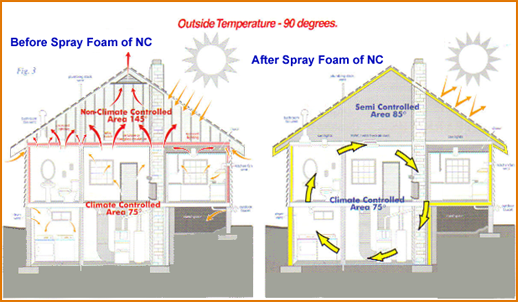 One of our high-rated and recommended home insulation solutions is spray foam, which is durable and sturdy. We have a wide range of insulation products that will suit your different needs and environments. For a free blower test to determine your home’s energy efficiency, call us today. The most recent FBI crime statistics revealed that Mt. Kisco is one of the safest places to live in New York. It is also 4th on the list of top 10 places to live in New York. It is home to over 4,000 households and 11,000 people. During winters, temperatures can drop into the negatives while summers are hot and humid. Such conditions, especially the cold season, have your furnace running almost constantly, racking up a bill. We understand these challenges and we can help you through effective home insulation products. Since the Village of Mount Kisco was incorporated in 1875, most of the homes, apart from the ones recently built, may not have adequate insulation. With products such as spray foam, The Home Insulators can transform the way you live, especially during the cold season. When hot air flows to cooler regions in a given environment, the process is known as heat transfer. In summer for instance, heat from the atmosphere enters your house to occupy the cooler parts. This means that you have little control over how much heat is in your house. To contain it, you may have to use an air conditioner, which consumes a lot of energy, which also translates to high monthly bills. During winter when there’s no heat, your house remains extremely cold and a furnace becomes extremely necessary to supply the much-needed heat. This also means you have to spend more on energy every month. Additional insulation from The Home Insulators is the answer to all these inconveniences and troubles. To measure the effectiveness of an insulating material, we use R-values (per inch of thickness). A material with a high R-value is more resistant to heat transfer than one with a low R-value. In winters where temperatures fall below zero, The Home Insulators recommends installing high R-value insulation, such as spray foam. It will help minimize heat transfer and contain heat within your home. It will also come in handy during summer because it will keep away excessive atmospheric heat from outside. If you’re ready to improve your home’s energy efficiency, we will send one of our qualified energy auditors who will perform an assessment of your home’s energy, including the weak points that may be facilitating heat transfer. If your home will benefit from additional insulation, we will tell you our recommendations and their investment, at no obligation to you. 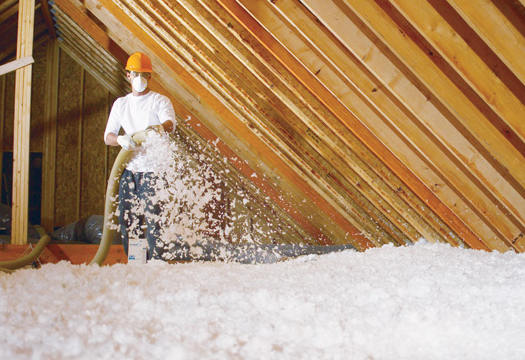 Batts and Rolls: It is the most common type of home insulation, and the most widely used. It is made of either fiberglass, mineral wool (rock and slag), plastic or natural fibers (sheep’s or cotton wool). Most have an R-value of either R-2.9 or R-3.8. They are suitable for regular spaces such as floor joists, attics or wall studs. They are also referred to as blanket insulation because you can roll or trim them into different shapes and sizes especially for irregular spaces. Blow-in/Loose-fill: Just like batts and rolls, loose-fill can comprise of cellulose, mineral wool, fiberglass, or even foam and small fiber particles. 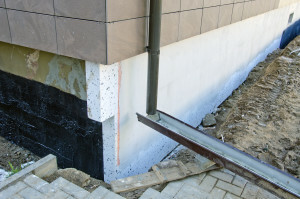 Loose-fill works best in constricted and unreachable spaces because you do not have to modify any existing structures to install the insulation. They are thus suitable for walls, attics, and basements. 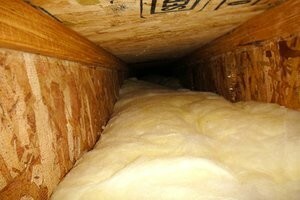 Rigid foam: Foam is more effective than fibers. Rigid foam is thus superior to the other two insulators in terms of preventing air movement. This makes it more costly than batts and rolls, and loose-fill. 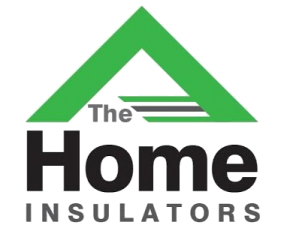 To maximize of the capacity of rigid foam, The Home Insulators recommends using the services of qualified and experienced installers. Failure to install rigid foam properly can make it lose up to 50% of its efficiency. After successful installation of rigid foam, it stays firmly in place and doesn’t shift like the batts and rolls or loose-fill. 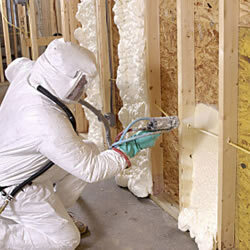 Spray foam: This is the best type of home insulation currently available today. It is both high-performance and multipurpose. 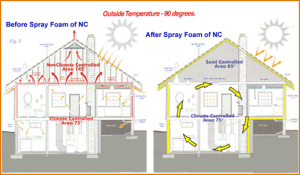 To make spray foam, we mix two different types of chemicals and heat them. The hot mixture is then sprayed onto the desired surface, where it cools and solidifies. When foam comes into contact with a surface, it expands exponentially to fill the space. Installing spray foam is a complex task that requires experienced professionals, otherwise the foam will leave gaps that will allow heat transfer. 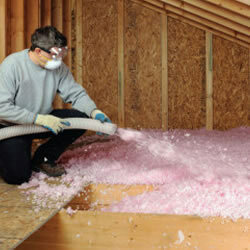 The Home Insulators has been installing spray foam in Westchester County homes for years and guarantees quality service. You can take the first step towards living comfortably by calling us today, and we will help you choose the best home insulation product. We will send over an energy auditor who will assess your home and recommend the best insulation product for you. We are a bonded and insured company and we guarantee our work. You can reach us any day of the week, all day, and in the evenings, here in Mt. Kisco. As stated earlier, consultation, assessment and recommendations are absolutely free. Our products are affordable, effective, and durable. Give us a call today and we will be glad to serve you.